For now, custom sizes beyond those listed on our Sizes & Prices page are outside the scope of our production capabilities. We offer eight standard sizes in Rectangular and Square Fractures. 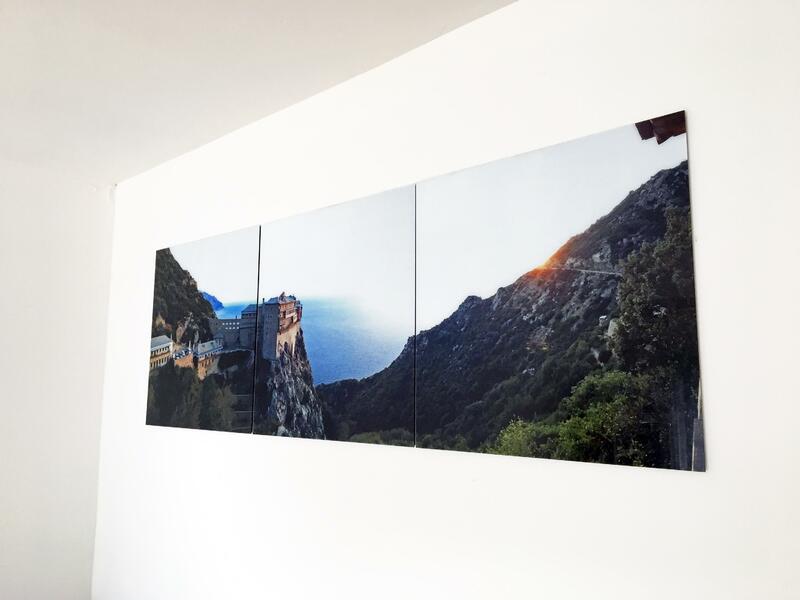 Keep in mind that all our rectangular prints are formatted in a 4:3 aspect ratio, so make sure to format photos with different ratios either before uploading or with the Edit Photo button on our website. We know a lot of our customers are interested in printing panoramas onto Fractures. Some of our most creative customers found a solution to this. They split their panoramic image into equal parts of either 1:1 or 4:3 aspect ratios using a third-party photo editing program or website. From there, they uploaded the individual segments onto our photo uploader and placed their order. Finally, they hung the images side by side to create a captivating work of art.